This picture encapsulates the performance of the Bangladesh cricket team against India in the semifinals of the champions Trophy. The team is quiet good, but India plays against them like a wounded lion and thrashes them every time they face Bangladesh in an ICC tournament. One of the major reason is the shock the Indians suffered in the hands of the Bangladesh cricket team in the 2007 world cup. Bangladesh was lucky to get so far in the Champions trophy. They got to the semifinals because of rain. Australia was extremely unlucky to get knocked out of the tournament without even playing one full match. It was the rain which took the Bangladesh team to the semifinals. Unfortunately for them, it did not rain when they faced India in the semifinals. 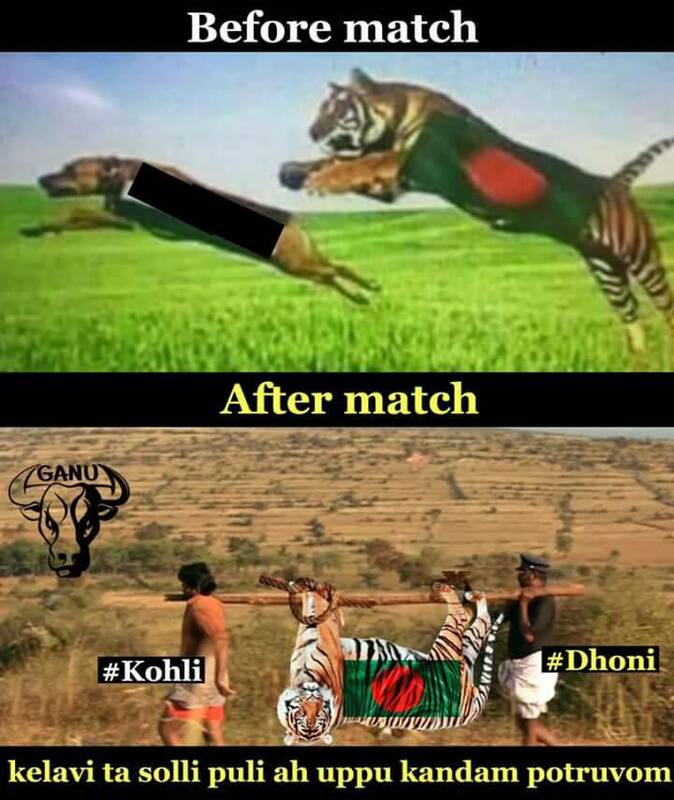 The Bangladesh fans who usually show their might with their Photoshop skills were shell shocked when Rohit and Kohli molested their bowlers all around the park. Mean while Indian cricket fans have also started creating Photoshop images to play mind games with the Pakistan team. If you say "Are not the Indians arrogant by creating images like this? 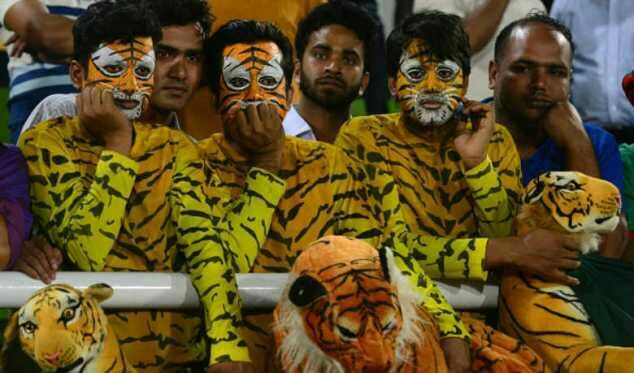 How different are they from the Bangladesh fans? ", the answer is simple. We know how Pakistan performs against India in ICC tournaments. We believe in the pacha sattai. But I strongly believe that Kohli did not use his bowling options well today. He should have given one more over to Pandya. That would have given him an opportunity to complete his century. It looks actually kinda cruel. Funny but still cruel because we all know what India and similar countries are capable of. But anyway, thanks for posting.